Ethan Wagler of Hostetler Construction wanted to represent the family business online. 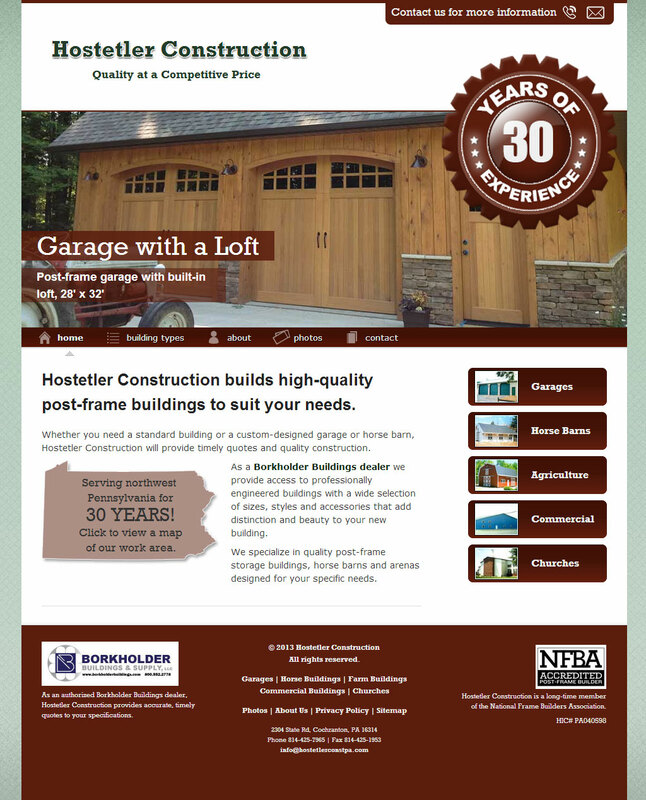 Working with previous artwork by Ron Speigel of Avaira Signs (Cochranton, PA), I designed a custom theme for Hostetler Construction. The site is built on WordPress and optimized for metal and post-frame buildings, with a focus on horse barns and garages, their specialty. Before the site officially went live, he had already received an online request for a quote on constructing a new storage building!